The Nevada Gaming Commission conducted some early spring cleaning last week, unanimously adopting a series of amendments to five regulations involving sports wagering. The regulatory amendments approved in 4-0 votes will have little effect on gaming consumers with most of the changes involving definitions and making those definitions consistent with all changed regulations. One amendment enables casinos to accept the last four digits of a Social Security number instead of the entire number. Among the definitions clarified were for “amateur sport or athletic event,” “virtual event” to cover newly popular computer gaming competitions, and “other events” to define events on which wagers can be placed and must be approved by the Gaming Control Board chair. The chair has the option of referring any wager request to the Gaming Control Board or the commission. Amendments also included the ability for Nevada to take wagers from patrons in other states if federal government laws are modified. Currently, the practice is illegal. Commissioners rejected a proposal to allow online enrollment for sports wagering accounts, keeping in place a requirement that a patron visit a casino at least once to enroll in account wagering. New Jersey allows patrons to enroll for accounts online. Earlier in the meeting, commissioners approved several matters involving William Hill US, the American subsidiary of the British bookmaker that dominates the Nevada market in sports book management. In three separate actions, the commission approved licensing for race and sports books at Jerry’s Nugget in North Las Vegas, four properties in Las Vegas and Laughlin under Golden Entertainment Inc., and two in Reno and Stateline under Eldorado Resorts Inc. The approval in the Eldorado licensing included amending orders of registration involving the Eldorado’s plan to acquire 20 percent of William Hill US, which was announced Sept. 5. 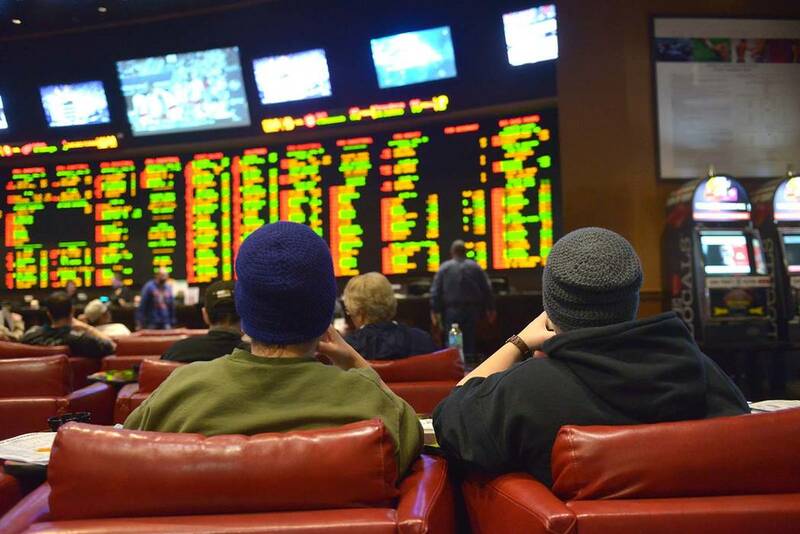 William Hill already operates sportsbooks at downtown Reno’s Eldorado and Stateline’s Montbleu properties, but the change in status required new licensing. The Jan. 24 meeting was the last meeting as regulators for Gaming Control Board Chairwoman Becky Harris and member Shawn Reid. Their terms expired Jan. 27. Harris was a one-year replacement for A.G. Burnett, who resigned in January 2018 to enter the private sector. Reid is completing his second four-year term on the board. Gov. Steve Sisolak hasn’t announced a replacement for Reid, but earlier this month appointed Nevada Gaming Commissioner Sandra Douglass Morgan to chair the Control Board. Sisolak hasn’t announced a replacement for Morgan on the commission. In a tribute to state Gaming Control Board Chairwoman Becky Harris, board member Shawn Reid and Gaming Commissioner Sandra Douglass Morgan who are leaving their respective boards, Nevada Gaming Commission Chairman Tony Alamo cited some of the sacrifices they’ve made to become involved in public service. “Nevada understands the enormous responsibility and how important those positions are, but I don’t think what people understand is the sacrifice when we accept the positions we assume,” said Alamo, a medical doctor who added that he doesn’t make any money when he doesn’t see patients. Alamo noted that Harris, an attorney, served in the Nevada Legislature before being appointed by former Gov. Brian Sandoval to chair the Control Board. Reid has been around the longest, spending 28½ years with the Control Board as an agent in the board’s Investigations Division before his appointment to the board in 2011. Alamo noted that Morgan, an attorney, sacrificed her time serving as a commissioner for the Nevada Athletic Commission as well as the Gaming Commission. She’ll continue her public service as the new chairwoman of the Control Board starting with the February meeting in Carson City.